For the past 90 years, The Peninsula Hong Kong has played a significant role in the city’s history. 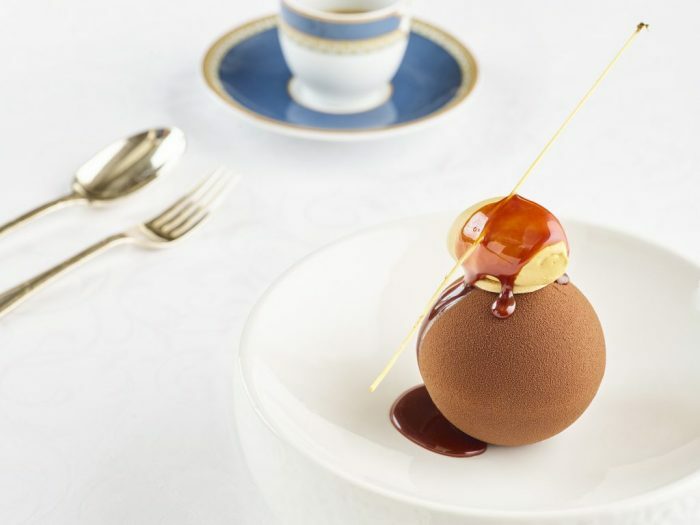 Since 2003, The Peninsula‘s “Culinary Journey” has been taking guests on a gastronomic odyssey through four of The Peninsula Hong Kong restaurants in one evening. This year, an all-new culinary journey will celebrate the hotel’s legendary “Grande Dame” status and will feature gourmet creations at four famous destinations. The unique dining experience will begin with Champagne and canapés in The Archive Room, among a fascinating array of historical records and artefacts, before moving on to the avant-garde Philippe Starck-designed Felix featuring sublime wraparound views of Victoria Harbour. Afterwards, guests will proceed to Spring Moon, the stunningly decorated Michelin-starred Cantonese fine-dining restaurant. The culinary journey will finish at Gaddi’s, the Hong Kong icon that has been serving French cuisine paired with the finest wines since 1953. The culinary journey is priced at HK$ 1,928 + 10% service charge. For enquiries and reservations, please email diningphk@peninsula.com or call +852 2696 6693.